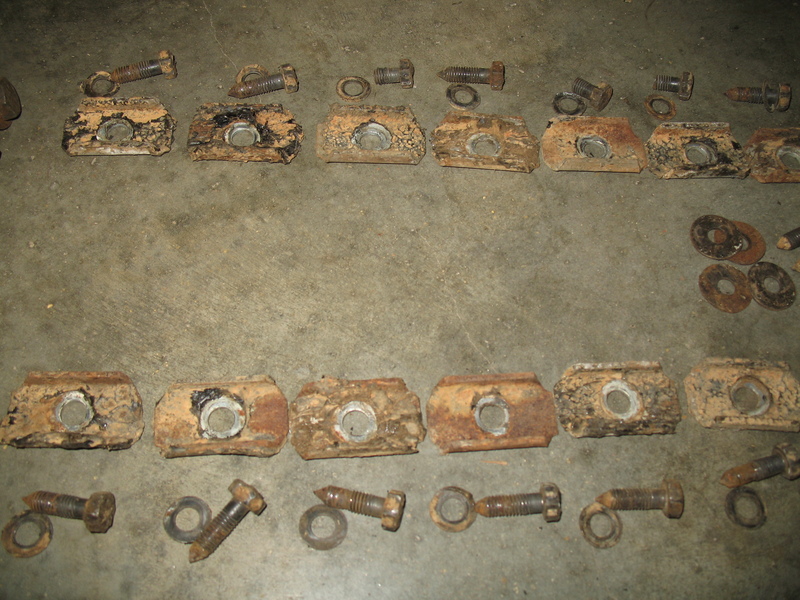 Finished removing all the bolts that hold the body to the chassis. 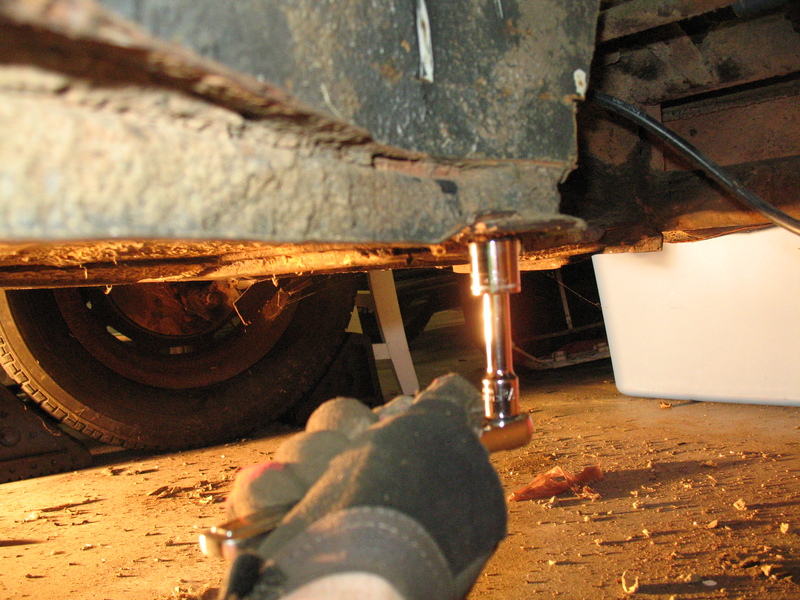 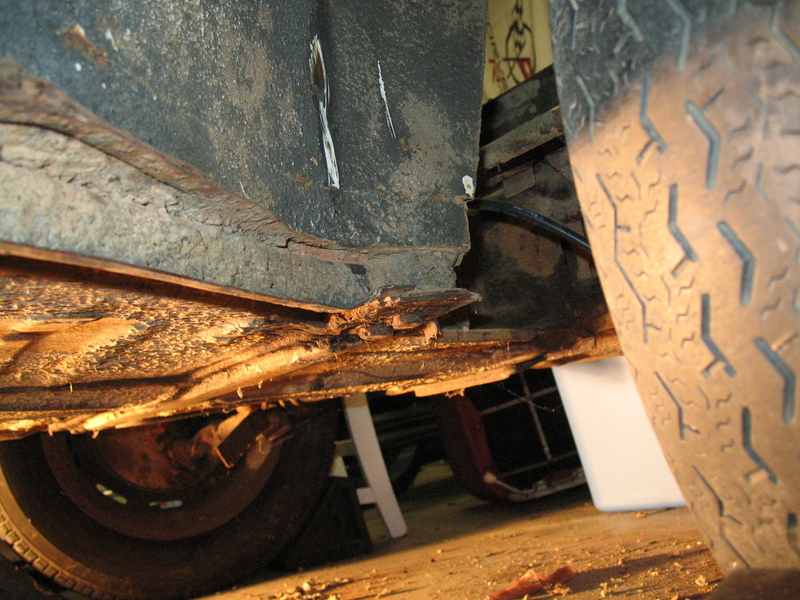 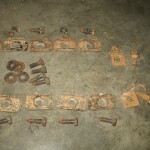 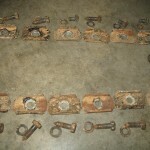 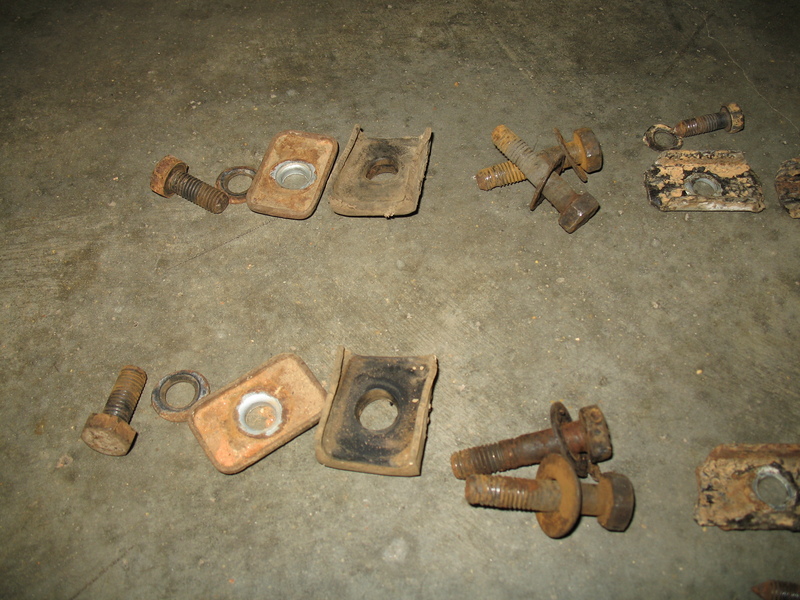 First, I made sure I got the bolts and brackets alongside the car — there are nine on each side. 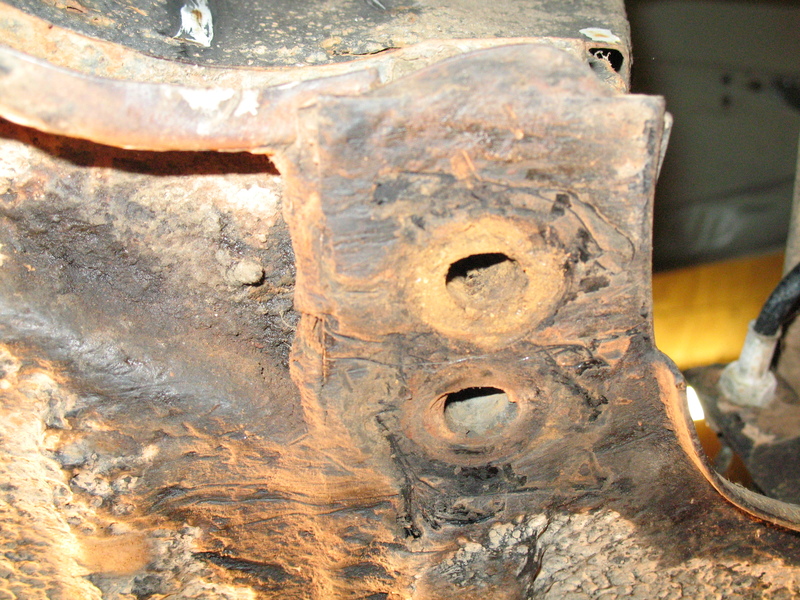 There are four bolts and washers inside the car, underneath the back seat. 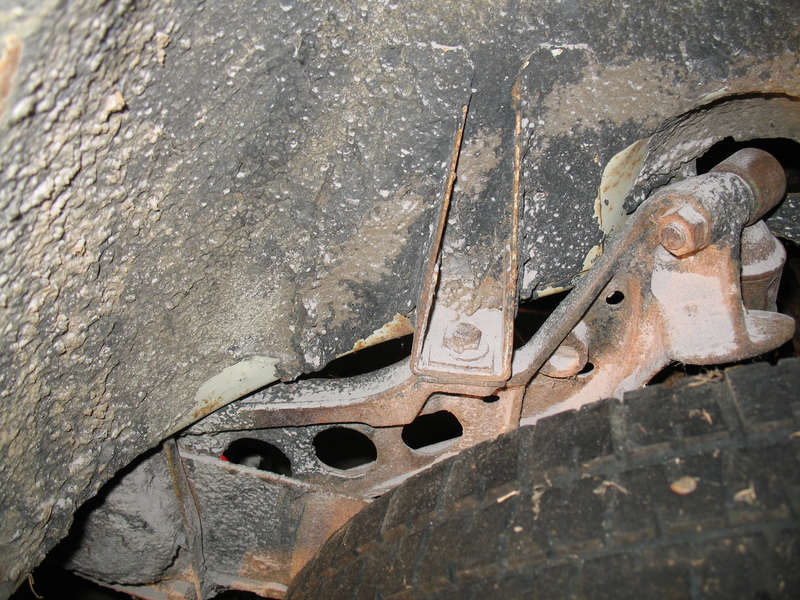 Some websites show that these have a similar bracket as the fasteners underneath the side of the car; mine only had bolts and washers. 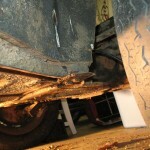 Next, there are two on each side of the car near where the running board meets the front fender. 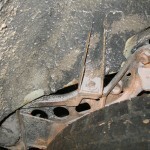 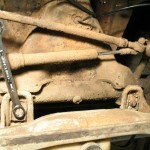 Then, there is a bolt, washer, and bracket on the mounting post near the rear shock (one bolt on each side of the car). 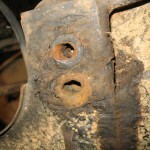 Finally, there are two bolts, brackets, and rubber mounts underneath the gas tank in the front. 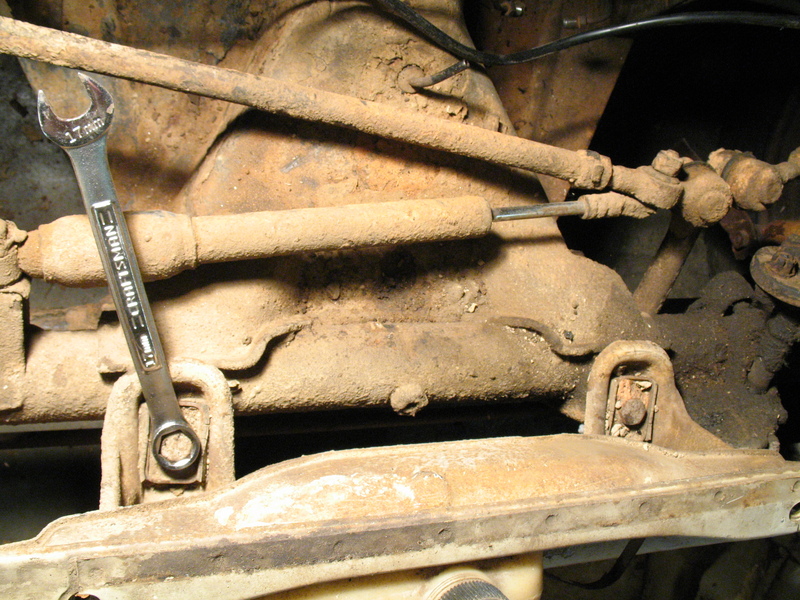 Two bolts at front of heater channel/bulkhead. 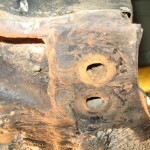 Two bolt holes at front of heater channel. 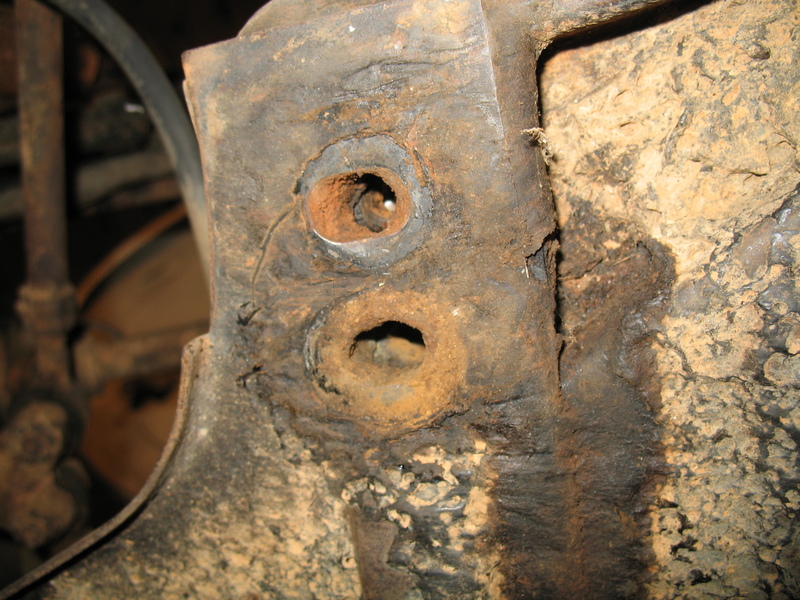 Bolt in the rear support mount. 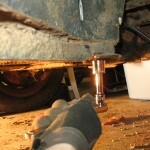 Removing the bolts and brackets from underneath the gas tank. 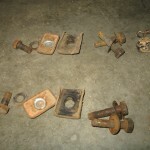 Bolts, washers, brackets, and rubber mounts from under the gas tank, four bolts and washers from front of heater channels. 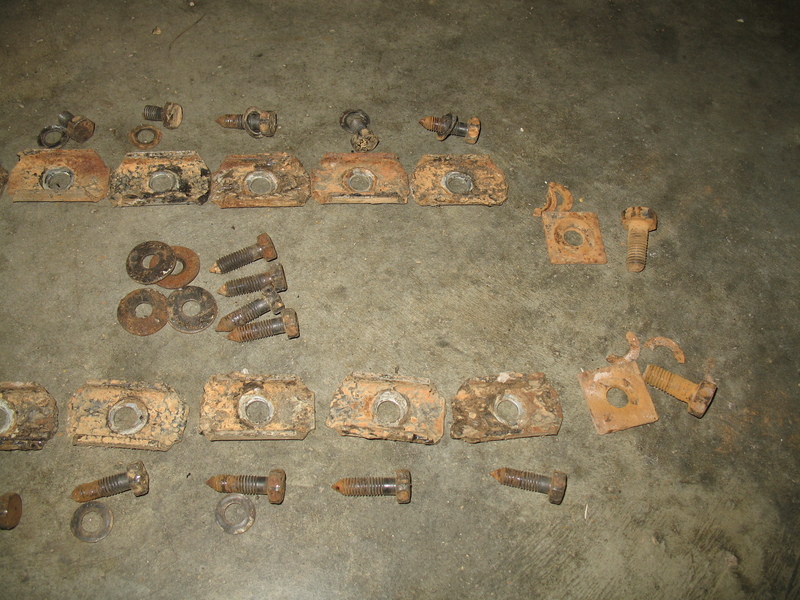 Bolts and brackets along the side of the car, four bolts from underneath the back seat, bolts, brackets, and washers from rear support mounts.